The industry 4.0 concept revolves around acquiring and processing vast amounts of process data. The purpose of the ICT-CMAC project (Information Control Technology for Continious Manufacturing and Crystalisation) is to develop and introduce practical techniques of collecting, fusing, and visualizing the data streams coming from a wide variety of sensors already existing in the University’s laboratories. This includes e.g. cameras, spectrometers, flow, pressure and temperature sensors e.t.c; The data is then combined with metadata (e.g. user-supplied tags) and archived for purposes of data mining in the future. An example user interface for visualizing the data stream coming from a hyperspectral camera. 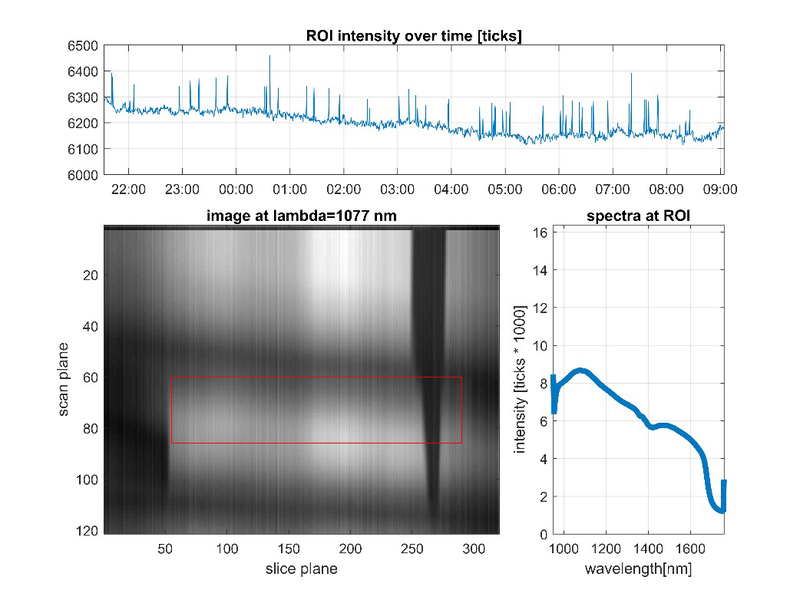 The hyperspectral camera produces 50GB per day of operation. The experiment is to analyse a continuous drug manufacture process. For more information about the project contact Dr Jerzy Dziewierz (jerzy.dziewierz [at] strath [dot] ac [dot] uk Research Associate or Prof Anthony Gachagan (a.gachagan [at] strath [dot] ac [dot] uk ) at the Department of Electronic and Electrical Engineering at the University of Strathclyde.